Los Angeles County is the largest county by population by far in the country, with 10.1 million. The larger metropolitan area, which spills into some other counties, has a population of 17.8 million. If Los Angeles County were a state, it would be the 8th largest state. Only California (without Los Angeles), Texas, Florida, New York, Pennsylvania, Illinois and Ohio are larger. Look at the map above. 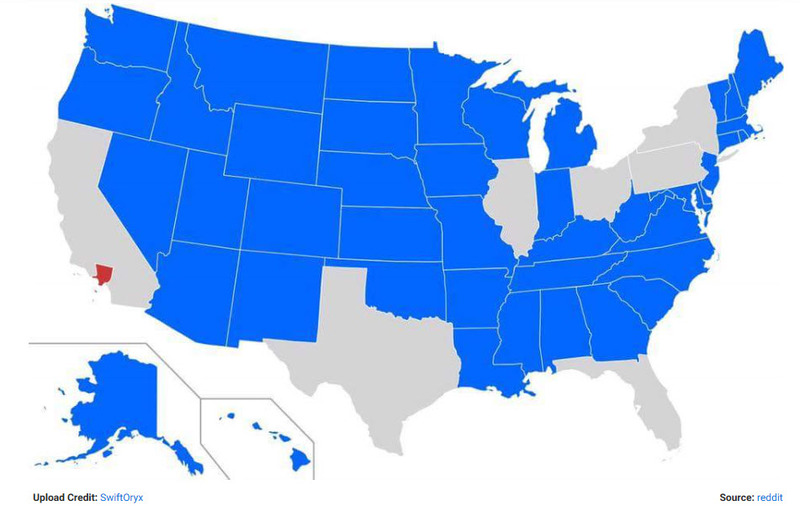 Los Angeles County, the little red speck on the map, is larger than every one of the states shown in blue. And incredibly, to top this off, the upper half of Los Angeles County is all desert, so it’s really the lower half that counts for all the population.